Traditionally, computer science was almost entirely self-taught. The field has grown from, what we might consider today, an open-source community. Even as recent as a few years ago, web development jobs often did not require degrees; however, as computer science continues to change and grow, it has become nearly essential to have a CS degree from an accredited program. This is why we’ve put together a list of the best computer science schools online in 2018. There is a need for both a solid understanding of practical programming as well as a theoretical understanding, that is if you are looking to land the perfect job. Looking into computer science programs you can do online is a great way to get started. According to the U.S. Bureau of Labor Statistics, computer science and information technology jobs are projected to grow 12% between 2014 and 2024, which is almost twice that of the national average for all occupations, which is only 7%. To bring these numbers closer to home for all prospective CS and IT majors, the field is expected to add around 488,500 new jobs during the aforementioned ten-year span. In May 2014, the median annual wage for computer science and information technology was $79,390, which is more than double the median annual wage for all occupations, $35,540. Which Online Computer Science Program is Right For You? With the growing number of online CS degrees, the options are continually expanding. The best way to define the best program to fit your needs is to first establish a specialization. Once you have done that, define a price point – how much can you afford to allocate towards education? And finally determine how long of a program you’d like. With these three items in mind, you are ready to define the best schools for computer science and start your journey toward a computer science, or information technology degree. No matter the world location, students can take computer science classes from Oregon State University and receive the same diploma as students on campus. OSU’s online CS degree is a bit different because it requires you to have a bachelor’s degree before you begin. This allows students to take classes that will merge computer science skills with a previous bachelor’s degree; this opens up career opportunities. It also means no electives are required. Graduation speed is flexible, so you can graduate in as fast as one year or take as long as four. Old Dominion University’s computer science program has a curriculum that relies on conceptual- and demonstration-based learning, which means that hands-on experiences are an important part of the degree. CS students from ODU have gotten jobs in fields like software engineering, design, and development, database development, and project management. At Colorado State University students study computer networks and the Internet, artificial intelligence, database systems, and parallel programming. Applicants should already have a knowledge of core computer science competencies, data structures and algorithms, and a high-level understanding of math concepts. This degree is sure to pay off. About 70 percent of those that graduate have job offers upon graduation at companies like Microsoft, IBM, Hewlett-Packard, and Intel. Western Governor’s University offers a degree in information technology that is for either established IT professionals that need a degree, or professionals that need an understanding of IT fundamentals. Students have three years to complete this degree, but considering tuition is charged per six-month block, the faster you finish, the cheaper it will be. American Public University has a degree available in information technology that is designed to prepare students to build and deploy networks, databases, web properties, and other IT-related assets. A few key course subjects include; programming fundamentals, information systems analysis and design, object-oriented programming and UML, and relational database concepts. Besides preparing students to land jobs as programmers, systems analysts, or database designers, this degree will also prepare students for a number of industry certifications, including Certified Internet Webmaster (CIW). Milligan College is all about helping students get what they want. All of Milligan’s computer science degree courses are offered online so working students can keep their jobs, the certificate can be completed in as little as four semesters so students can keep their sanity, and a free and personalized degree plan is available to every student so they can keep their credits where they need to be. Students will learn and receive experience in areas such as programming, networking, systems analysis, and software development. Students who only take the computer science courses (42 credits) will receive a certificate in Computer Information Systems. Students seeking a bachelor’s degree will need to also complete Milligan’s required general education classes. 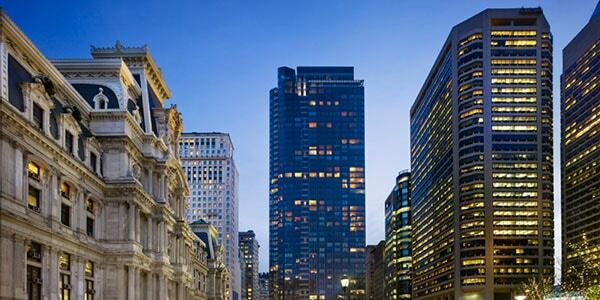 Drexel University offers a master’s in computer science and bachelors in computing and security technology. Both degrees emphasize hands-on learning and offer the latest tools to model and solve problems. Undergraduates can emphasize in either computing security or computing technology and often go on to find jobs as network and database administrators, chief information security officers, and more. Those that choose the master’s degree in computer science should prepare themselves for rigorous coursework and opportunities to tackle real-world problems alongside a group of successful computer science professionals that are the professors. Florida Tech University offers a degree in computer information systems that promises students will get their money’s worth. Before completion, students learn object-oriented programming, database administration, electronic commerce, systems analysis and design, network theory and design, project management, and more. Information systems graduates from Florida Tech often find jobs as software developers, web programmers, database administrators, and application systems analysts. The Bachelor’s of Science degree in Computer Science at Michigan Tech provides breadth in computer systems and applications, techniques for problem-solving, and a solid understanding of design principles. It offers students the option of picking one of four concentrations: Computer Science, Computer Systems, Applications, and Game Development. The Computer Science concentration actually has its own emphases on a lower level including computer architecture, software systems, graphics, artificial intelligence, high-performance computing, software engineering, and human-computer interaction. Dakota State Univesity offers students the option of taking Computer Science classes on-campus or online. Online students can be assured that they will receive the same high-quality education as students who take classes on-campus. The same professors teach both formats. Furthermore, all DSU’s computer science professors have a Ph.D. in computer science, marking them as proven researchers and talented educators. DePaul University’s computer science degree will prepare students to work in all kinds of industries ranging from software, advertising, marketing, and education to insurance, manufacturing, nonprofits, healthcare, and banking. It’s probably because the faculty, which are often funded by the National Science Foundation, conduct research in a number of unique areas including; artificial intelligence, computational finance, data mining, database systems, and high-performance computing. This range of skills got recent graduates jobs at companies like Adage Technologies, JP Morgan Chase, kCura, Navteq, Google, and the Federal Reserve Bank of Chicago. Park University offers students the option of getting an A.S. or a B.S. in Information and Computer Science. Within the bachelor’s degree, students can choose from five concentrations including Computer Science, Software Development, Networking and Security, Data Management, and Information Technology. Students who choose the Networking and Security emphasis will take Cisco Certified Network Associate (CCNA) courses that prepare them for the CCNA certification exam. Park University has a great student-to-faculty ratio of 12 to 1. Columbus State University has been around for nearly 60 years and today offers several options for its B.S. in Computer Science. Students can choose from the Applied, Cybersecurity, Games, or Systems track, all of which require students to complete a total of 123 credits. The degree (and corresponding track) are designed to be completed in four years. Only CSU’s B.S. in Information Technology is offered online. The schools student-to-faculty ratio is 18 to 1. Georgia Southern University provides phenomenal Computer Science education to its students on both the undergraduate and graduate level, though only the M.S. in Computer Science is available in the hybrid (both online and on-campus) format. Students pursuing a B.S. in Computer Science are held to a high standard and are expected to be able to graduate with the ability to design, implement and evaluate a computer‐based system, process, component, or program to meet desired needs, among other expectations. Weber State University offers students a B.S. in Computer Science that’s accredited by the Computing Accreditation Commission (CAC) of ABET. Students can take electives in groups if they want to specialize in Network Security, Web Development, Mobile Development, or if they want to pursue a Master’s degree in Computer Science. Students can also create a custom emphasis that best fits their interests and expertise. The CSIT fully online computer science degree program offers a blend of computer science theory and information technology practice courses. Students are guaranteed hands-on experience in all aspects of software engineering, and will get to experience a wide range of computing languages for web and mobile apps like; C++, Java, PHP, and Python. One of the best online schools for computer science. In University of Maryland’s computer science degree, students learn Java, C++, OpenGL, Octave, and MATLAB, along with algorithm optimization, and the theory, science, and math behind modern computing. Students take classes like Calculus II, Intermediate Programming, and Computer Systems and Architecture. If computer science isn’t quite the degree for you, University of Maryland also offers degrees in computer networks and cyber-security, digital media and web anthology, information systems management, and software development and security, which all teach a variety of coding language and prepare students for different certifications. Arizona State University has degrees in information technology and graphic information technology that cover a very wide range of technical skills. 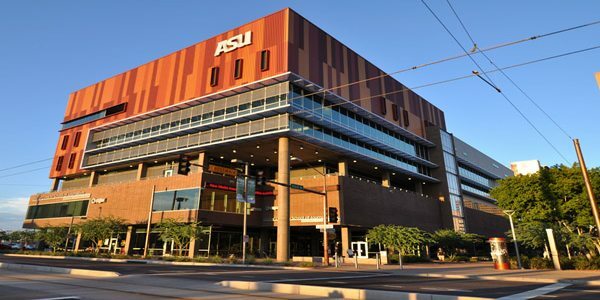 A degree in information technology from ASU will prepare students to design, select, implement, and administer computer-based information solutions. Students have projects every semester that not only strengthen the ability to work as a team, and present solutions in professional settings, but provide the technical skills students need to create network structures, configure and administer complex database systems, create websites, and design interactive media solutions. ASU’s degree in graphic information technology, on the other hand, provides a technical and managerial understanding of graphic information and content creation. In this degree, students focus on web development, print, photography, and multimedia. After exploring principles of security, e-commerce, and entrepreneurship, students are prepared for a position as a web designer, user experience designer, digital media specialist, or an advertising executive. The University of Illinois’s computer science program is an extremely affordable online option that combines a foundation of core skills with new industry techniques. Past graduates have been successful in earning advanced degrees and in pursuing careers in research and application-oriented positions in business, industry, government, and education. Before applying for this degree, be sure to have taken at least two semesters of Java, one semester of discrete or finite math, one semester of calculus, and one semester of statistics. In order to prepare for success in a variety of industries, the University of Florida’s computer science program provides a foundation in computer science, while also offering a strong liberal arts education with courses from the humanities, social and behavioral sciences, and foreign languages. Among the many skills students will acquire, students will learn to both design a computing system that meets real needs within realistic constraints, and write about technical data and design information. The B.S. in computer science program from Kennesaw State University is fully accredited by ABET, the Accreditation Board for Engineers & Technology. It is a strong technical program with breadth across the discipline and strength in software development, with options in High Performance Computing, Big Data Analytics, Machine learning, Cybersecurity, Robotics, and Data Mining. The BSCS is a traditional, intensive, on-campus program, with some upper level courses offered online. Students can join the Computer Science program in the fall, spring, or summer semesters. Baker College is the largest independent, not-for-profit university in the state of Michigan. Not-for-profit means that this University isn’t concerned about making money, they instead focus on providing a quality education that is affordable. Through classwork, hands-on training, and field-based educational experience, students gain skills in software development, Internet communications, network, and database administration, along with foundational knowledge in computer science. Since the program is updated continuously, students are educated on the newest trends. Some of the classes include Advanced Visual BASIC, C++ programming, Programming for Mobile Devices, and Trends in Computer Science. Limestone College is a military-friendly college that has many of its degrees offered online, one of which is the Bachelor’s of Science in Computer Science. There are actually four emphases that students can choose from, including Computer and Information Systems Security, Computer Science Information Technology, Programming, and Web Development & Database. All programs require a capstone project and require a total of 123 credits. At Wartburg College, students can receive their Bachelor of Arts in Computer Science or Computer Information Systems. Computer Science requires the completion of 14 major courses and the Computer Information Systems program requires 16 major courses. Both degrees share some base classes like Object-Oriented Programming, Data Structures, and Perspectives in Computer Science. Wartburg’s student-to-faculty ratio is 11 to 1. Swarthmore College has a robust computer science program that prepares students for success in a graduate program or in the working field. There are over 15 computer science courses for students to take, the which have helped students from Swarthmore College receive various awards and do fairly well in national competitions. An honors version of the program is also available for students who want the opportunity for a more in-depth study of an area of computer science than is typically offered in CS courses. In the honors program, students will take the summer between their junior and senior year to complete an honors thesis which consists of a summer research experience (usually with a member of the department), a research presentation, written honors exams (two preparations), and oral honors exams (two preparations and thesis). The Computer Science bachelor’s degree at Missouri State University is accredited by the Computing Accreditation Commission of ABET and allows students to specialize in Computer Science or Software Development. Those who choose the Computer Science emphasis automatically qualify for MSU’s math minor. The CS program will help students become familiar with, and gain experience in, Python and C++, some of the most widely used software technology in the market. Other areas of study include Data Structures, Internet Programming, Database Systems Concepts, and Computational Thinking. Montana Tech offers students the opportunity to receive a bachelor’s degree in Computer Science with seven emphases to choose from including Business Applications, Electronic Control Systems, Game Development, Health Care Informatics, Engineering Applications, Statistical Applications and Technical Communications. The program is accredited by the Computing Accreditation Commission of ABET. Through 2015 (at least), Montana Tech had 100 percent job placement for all of its B.S. in Computer Science graduates. Some students also get Montana Tech’s Software Engineering degree which has many overlapping classes with the Computer Science degree. At Caltech, Computer Science is the most popular major, and for a good reason—it’s one of the fastest areas of job growth in the country. Caltech offers a bachelor’s, master’s, and a doctorate degree in Computer Science, all of which offer many opportunities for students to participate in relevant research. Undergraduates even have access to a Summer Undergraduate Research Fellowship (SURF) program. Students will take coursework in areas such as networking, distributed systems, robotics, machine learning, graphics, databases, and more. Caltech has an amazing student-to-faculty ratio of 3 to 1. *The Best Computer Science Schools Online in 2017 guide has been recently updated.